Photography is light; so having a reliable, portable light source is an essential piece of equipment for virtually every photographer. Choose from any of the flash units in this PhotographyTalk 2012 Holiday Gift Guide and make your favorite photographer very happy. 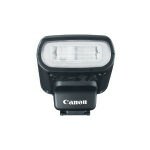 Canon designed the Speedlite 600EX-RT Flash to give pro photographers the kind of versatility and reliability they require. 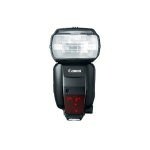 The 600EX-RT is a wireless multiple flash system, with a signal that will reach as far as 98.4 feet (30m) to as many as 5 groups of Speedlites. 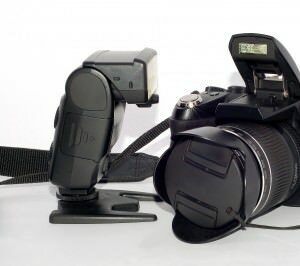 The flash head matches the angle of view of a 20–200mm lens as well as the type of sensor in the camera. 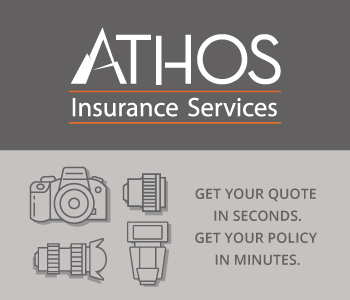 Pros can also choose from 18 custom functions and 7 personal functions. 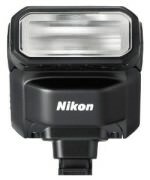 For its mirrorless camera models, the 1 V1 and V2, Nikon has brought the 1 SN-N7 Speedlight to the market as a compatible flash unit. The head of this new Speedlight tilts 120 degrees for a greater range of lighting options. The built-in wide panel provides the coverage needed for shooting with a wide-angle lens. The 1 SN-N7 may be compact for the smaller 1 V1 and V2 bodies, but it delivers quite a bit of power and reach with a guide number of 59 feet (18m). Available in black or white to match the 1 V1 and V2 colors. The Ultimate Light Box Kit consists of a number of components to enhance flash photography. 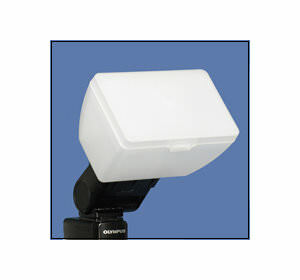 Choose from a flash adapter and dome diffuser made specifically for most flash units. The light box attaches directly to the flash adapter, which enlarges the surface area of a flash as much as 700%. The Kit also includes a large reflector to capture and reflect more of the light on the subject. This is Canon’s complementary flash unit for its first mirrorless camera, the EOS M; however, with its standard Canon EOS hot shoe, it can be used with any EOS DLSRs. With a maximum guide number of 30 feet (9m) at ISO 100, the Speedlite 90EX will illuminate most scenes and subjects, including support for a 24mm wide-angle lens (35mm equivalent). 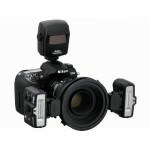 Small, but powerful, the 90EX can serve as a wireless master controlling multiple flash units. For macro and close-up photography, this Nikon Speedlight System has all the features to provide excellent lighting for small subject matter. It consists of 2 SB-R200 Speedlights and Nikon’s SU-800 Speedlight Commander, which will remotely control SB-900, SB-800 and SB-600 Speedlights for even more creativity. The SX-1 master attachment ring also adds exceptional versatility, as it will accept as many 8 SB-R200 Speedlights off camera and as many as 4 on camera. 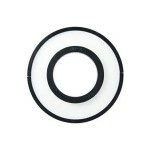 The Rosco LitePad Loop Ring Light is an essential part of a product, portrait or fashion photographer’s shooting gear. It is also a great tool for beginners, hobbyists and amateurs. The Rosco LitePad Loop attaches easily to the base of a camera, encircles the end of the lens (or just in front of the lens) and produces a soft, diffuse and steady LED light. The Rosco LitePad Loop Standard Kit includes the LitePad Ring Light, Main Block, Sled, Accessory Collar and Safety Thumb Screw. It’s available from Amazon for $699.00 at http://www.amazon.com/Rosco-LitePad-Standard-Accessory-Collar/dp/B007UA5NGE/ref=sr_1_1?s=electronics&ie=UTF8&qid=1353936408&sr=1-1&keywords=rosco+litepad+loop.